Conventional wisdom holds that environmental stewardship is one of those bright lines separating Republicans and Democrats. Conventional wisdom in this case is wrong. Many polls demonstrate that people across the spectrum are united around clear conservation values: keeping air and water clean, protecting our parks, forests, and other open spaces for public benefit, and taking a balanced approach to energy development. Earlier this year, two polling firms—one Republican, the other Democratic—queried a sample of nearly 2,400 voters in six Western states about their attitudes towards conservation. The sample was almost evenly split among Republicans, Democrats, and independents. Nearly two-thirds of the voters identified themselves as conservationists. Strong majorities across the spectrum agreed with the statement: “We can protect land and water and have a strong economy with good jobs at the same time, without having to choose one over the other.” Majorities who agreed: 75 percent of Republicans, 75 percent of independents, and 84 percent of Democrats. Last year, the Republican polling firm North Star Opinion Research surveyed Floridians about beaches and cleaning up after the 2010 Deepwater Horizon oil spill. A total of 97 percent agreed Florida’s beaches and near-shore waters are important to the state’s economy. By margins of 6 to 1 or more, Florida voters across the spectrum agreed penalty money collected for the spill should be dedicated to restoring the Gulf Coast. “Regardless of political party or region of the state, this is an issue that unites Florida voters,” a memo from North Star concluded. Whether you’re talking about estuaries in Florida or backcountry hunting grounds in Montana, Americans, regardless of their political affiliations, value natural assets that bring tangible benefits to their communities and are part of local and regional culture. Our shared conservation values are essential to what it means to be an American. That was Gisele’s eye-catching opener when she joined our American Eagle Campaign conversation here on this website. I think Gisele has exposed the great fallacy of American politics today. The partisan rhetoric that has consumed the debate over clean air and water and protecting our wild spaces and wildlife has drowned out the voices of real America. Real America sees stewardship of our natural resources as a unifying force, not a dividing force. Lois summed it up most eloquently. There were no surprises in last night’s presidential debate when it came to energy policy. Both President Obama and Governor Romney stuck to their campaign talking points. Unfortunately, it also wasn’t surprising that environmental stewardship did not come up once during the debate. Not in the questions asked by moderator Jim Lehrer. Not in any of the candidates’ remarks. No mention of how we can keep air and water clean. No discussion about conserving America’s great heritage of open space, wildlife, and parks. Not a word about climate change. The prevailing narrative is that the environment is a low-profile issue for most voters. The economy, budget, health, and education rank higher in most voters’ minds, and appropriately those issues receive most of the attention. Still, poll after poll shows that voters of all political stripes expect their leaders to be responsible stewards whose policies deliver clean air, clean water, and common-sense energy efficiency. Debates are the best opportunity Americans have to hear from the candidates about these important stewardship issues. A strong economy, good health care, and a high quality of life depend on a clean environment and conserving our country’s immense natural endowment. We need to hear, in an unscripted forum, the candidates’ ideas about stewardship. By working together, our country has made great progress in reducing pollution and protecting our natural heritage, but the work remains unfinished. It will be on the plate of whoever is elected president in five weeks. There will be one more chance, on October 16 at New York’s Hofstra University, for the presidential candidates to talk about their environmental views at a debate. Let’s hope that chance is not missed. 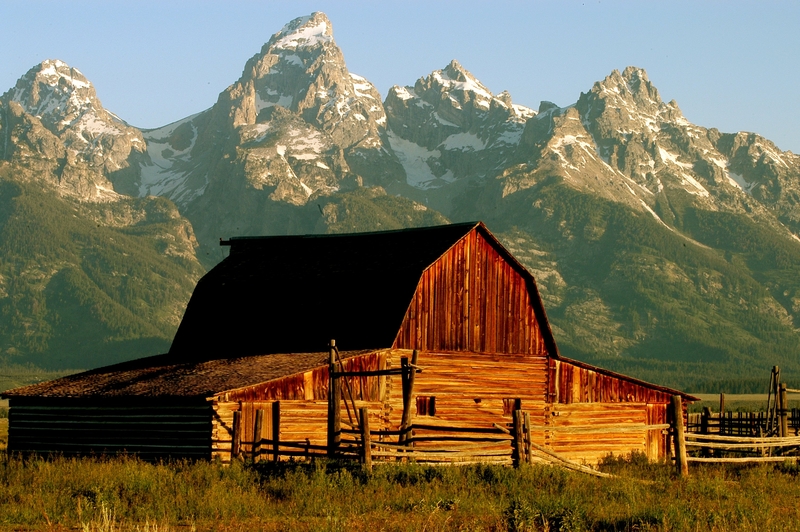 Moulton Barn on Mormon Row in Grand Teton National Park. Photo by Rob Sisson. America’s Best Idea isn’t limited to our national parks. Public lands from coast-to-coast offer all Americans the opportunity to view birds, hike, fish, photograph, hunt, boat, and rejuvenate their body, mind, and soul. Our public lands enjoy strong support across every political and socio-economic spectrum. 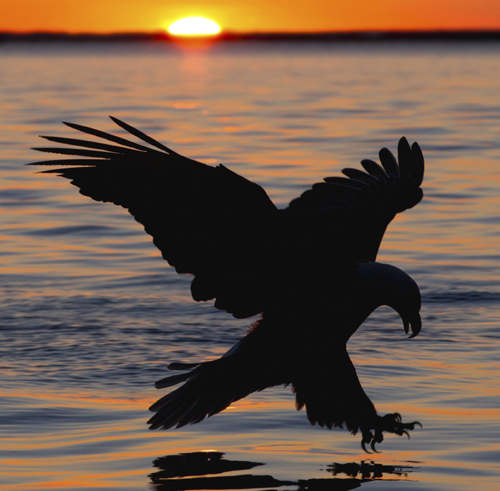 Show your support for our public lands by signing and sharing the American Eagle Compact! Then, take a moment to tell us what public land is your favorite and why! When we asked Audubon volunteers to tell us why they believed conservation has no party, we were surprised by the sheer volume of replies. They were all compelling, some long, some short, some poetic and some to the point. All were heartfelt. It was clear we had touched a nerve within our own ranks. Here are some of our favorite submissions. A few tap into the frustration so many of us feel as we’ve watched conservation of our world slip from an All-American no-brainer to a hot political potato. Read on — you may find your sentiments echoed below. I’ve been an avid nature observer for over 40 years. I started by hunting and fishing as a small boy growing up on a farm in middle Georgia. I’ve always been a responsible outdoorsman, who had a deep appreciation for the land and its wildlife and native plants. About 10 years ago, I started doing all my hunting with the camera. You’ll find me out in the woods on most weekends photographing wildlife and wildflowers. I agree that all Americans must work together to protect our environment. But, it seems to me that the two political parties are more interested in “winning” their point of view instead of doing the right thing for the environment. The United States is in much better shape than it was 40 years ago because of the Clean Air Act and the Clean Water Act. It saddens me when politicians advocate the dismantling of the EPA. I remember the days before the EPA where disposal of hazardous waste to the environment was a common and accepted practice. You just can’t count on all industries to do the right thing. Although my father and I hold vastly different views on a great many subjects, a gift that he gave me when I was quite young was the love of nature and, in particular, the birds outside our window. To this day, in his advancing age and humbling physical decline, I can share a moment with him about a bird I’ve seen in my own yard’s hedge or my daily wanderings, and I can see the old spark of interest and curiosity in his eyes that has inspired me. Please continue to protect our natural and wild spaces. They transcend differences in opinion, as well as generations, and are more important than can be quantifiably measured. It is not the sound of mens’ voices, arguing, shouting, yelling especially in Washington, D.C. that gives me pause in this life on Mother Earth. Rather, the sound of crow wings flapping in Bandelier Canyon near Santa Fe; the surprising swoosh of air as it is forced out of the gray whale’s blow hole in the waters off the Baja Peninsula; the early morning, melodic song of the thrush on Selma’s Bartram Trail in Georgia; the late night eerie calls of the coyote in Northern New Mexico. There is not one ounce of political rhetoric that can compare to these sounds in Nature. I would suggest great consideration be given to seeing that they are protected lest we forget what beauty really sounds like. Our beloved American Bald Eagle, so strong, so majestic, soars over our country with a watchful eye and a magic presence ever guiding, ever guarding this great land of ours, representing the flame of Freedom that speaks to every American. Be diligent, the Eagle says, and don’t let your guard down even for a second. Be honorable, for honorable men stand tall and can look in the eye of the enemy. Be courage, for courageous men will ensure that Freedom will forever be the law of this land, and be love, for it is the actions of love that unite men’s hearts and align their spirit with the Divine Creator, who will then judge men on the intentions of their hearts.It is every person’s responsibility to be good stewards of our land and all the blessed birds of the skies and animals of the Earth that we share this great land with. Let’s all soar with the Eagles and honor the land we all share and have the courage to stand up for it and protect it because we love our country and it is our duty to do so. “Environment” is not a swear word, but too often it is treated like one in the halls of our legislatures. Yes, let’s bring together both parties to understand that we are dependent on a healthy atmosphere and strong laws to protect it. I too am frustrated by the death grip each party has in DC. I am reminded of what Winston Churchill said about our political system, “It has been said that democracy is the worst form of government except all the others that have been tried.” I’m not sure he would agree with that statement if he were alive today. Good luck on your efforts. I grew up half a block from the railroad, and remember Mom’s clothes on the clothes line getting dirty from the soot of the passing locomotives. We never thought about health hazards from the soot, we just wanted clean clothes. We were pleased when diesel locomotives replaced the coal-burners — no more dirty clothes! We didn’t care whether Republicans or Democrats were behind the change. We just saw progress. Today we know about the health hazards of pollution — in the air, the water, the damage it does to human lives, plants and animals as well. We don’t care whether Democrats or Republicans support reducing pollution, and taking care of God’s earth. We just want a cleaner, better world for our children and grandchildren, one where they can enjoy nature in good health. We are blessed to have nesting Bald Eagles, Osprey and Peregrine Falcons, birds that had vanished from our region. This did not happen because we just hoped that it would. It happened because both Republicans and Democrats, good people on both sides of the aisle, more than 40 years ago saw the need to do the right thing, understood that threatened wildlife needed help. Despite what the corporations and big money demanded, they put the health of the people, our wildlife and forests ahead of politics. All Americans, despite what party they belong to, need to stand up and demand a healthy environment and our wildlife heritage preserved for everyone. As a person of faith, I believe that all things are part of the interdependent web of existence. We must become good stewards of this unique and fragile planet, for the survival of all of us. As an independent, I don’t like how polarized environmental groups have become. The planet and its health concerns ALL of us human beings. It is not a right or left issue. Polarizations leads to no progress! Period. How could you not be fed up with the partisan gridlock that has completely polluted an idea as priceless as conservation? The spin-obsessed suits in Congress and in statehouses across the country have turned conservation from the great unifier that it once was into a wedge used to divide Americans. It’s driven Republicans – the party responsible for creating much of our national park and refuge systems and the Clean Air and Clean Water acts – to the margins of public debate over environmental concerns. It’s even made some Democrats hesitant to get involved for fear they’ll be labeled tree-huggers. It’s time to try something new; time for Americans to take the fight for clean air and water personally. What’s at stake? Just the health of our families, our communities and protecting lands for our birds and wildlife. If you don’t want to think about this as a fight to save the planet, fine; this is a fight to save the neighborhoods where we live and the open spaces and waterways where we play and work. With 470 chapters and 50 educational centers across the nation, plus offices in 21 states and in D.C., the conservation organization I lead works in communities from Texas to Connecticut, from Wyoming to Florida. We’re not outsiders; we’re your neighbors. And because we know that the status quo is broken, the National Audubon Society, one of the most trusted conservation brands in America, has joined with ConservAmerica, conservation-minded Republicans who aren’t afraid to care. Together, we’ve created something altogether new, the American Eagle Compact. This compact soars above partisan politics. It’s a commitment to work together and to move beyond the politics that divide us: Common sense approaches to care of our wild spaces and waters, a strong commitment to future generations, and a shared love of nature. Whether, for you, that’s a neighborhood park or a place far from cell phone connections, we can all take this personally. I invite you to sign on www.eaglecompactusa.org and to join the conversation at American Eagle Compact blog here. Your ideas, suggestions and insights will help us give the next president—regardless of party—a people’s conservation agenda that transcends politics and partisanship. Let’s get back to the point where a President can say: “Preservation of the environment is not a partisan challenge. It’s common sense.” That was President Ronald Reagan. Confront the realities and threats of climate change in our communities and our states and make sensible decisions on how to deal with it. Develop energy in smarter ways that balance our energy and job needs with safeguarding our air and waters and avoiding harm to sensitive landscapes, vulnerable birds and wildlife and the health of all Americans. Preserve and protect our wild spaces for the benefit of people and wildlife. Protect America’s birds and wildlife, keeping common species plentiful and protecting and restoring those species imperiled by human activity. There is no question that Americans care about the environment. Love of the outdoors is not based on party labels. Outdoor recreation is the fastest growing pastime in America. A new U.S. Department of Interior survey shows that nearly 40 percent of all Americans hunt, fish or watch birds. Stand at the rim of the Grand Canyon and look into the awesome depths of that ancient chasm. Yosemite Falls. Courtesy Library of Congress. 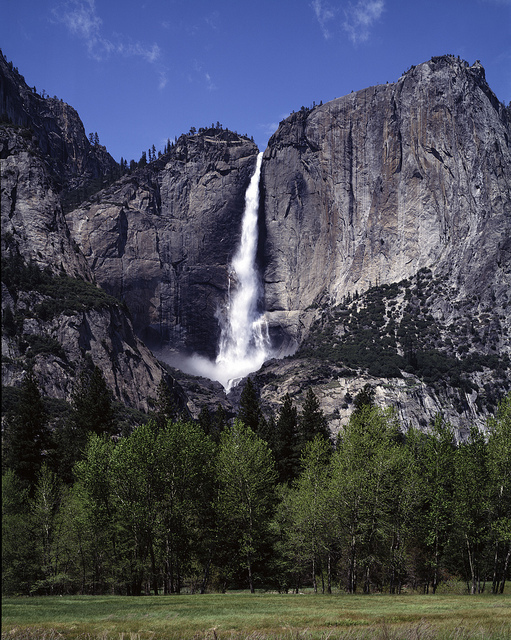 Look up from your Yosemite Valley campsite and be astonished at the overpowering sights and sounds of thundering waterfalls. Whenever you enjoy America’s spectacular natural heritage, partisan politics is probably the furthest thing from your mind. That is as it should be. Protecting our nation’s wonderful natural treasures shouldn’t be caught up in partisan disagreements. At ConservAmerica, we believe good stewardship of our American heritage is at the heart of our traditional conservative values of respect for the past and responsibility for the future. We conservatives can be proud of the stewardship achievements of our past leaders, from Theodore Roosevelt to Ronald Reagan. That’s why we’re excited to partner with the National Audubon Society in asking our fellow citizens to sign the American Eagle Compact—a declaration to our leaders that conservation is essential to what unites us as Americans.